Toulouse (VNA) – National Assembly Chairwoman Nguyen Thi Kim Ngan visited the aircraft manufacturing factory of Airbus in Toulouse city on April 3 (local time) as part of her official visit to France. 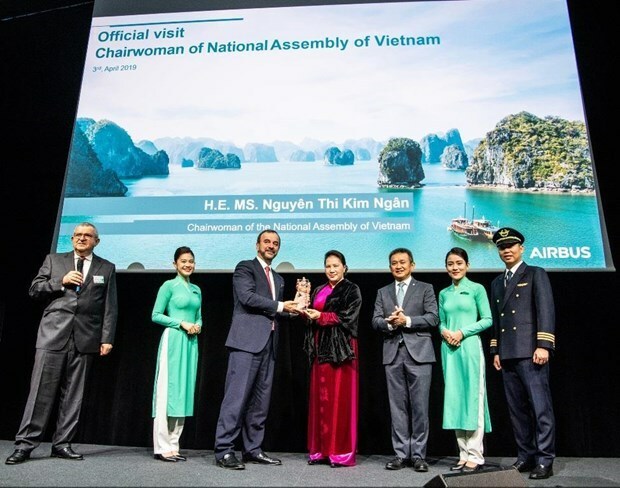 She witnessed representatives from the national flag carrier Vietnam Airlines and budget carrier Vietjet Air receiving their respective orders of A350-900 planes and A321neo coded VN-A600 aircraft. Vice president for Airbus Asia Jean-Francois Laval said Airbus is honoured to provide aircraft for Vietnam Airlines and Vietjet Air. 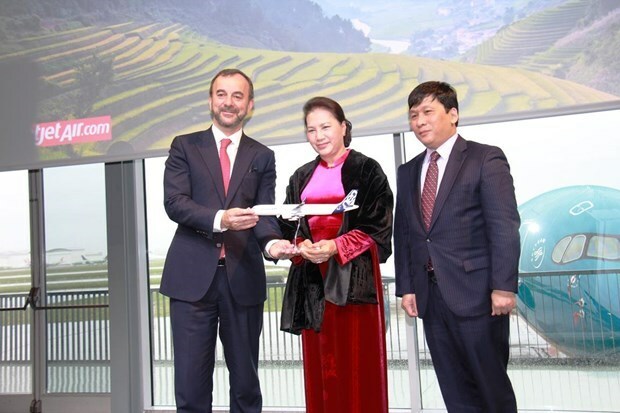 The Vietnamese NA Chairwoman’s visit to the Airbus aircraft manufacturing plant illustrates the attention of Vietnamese leaders to the development of the aviation sector, the transfer of technology, and strategic cooperation between the two countries in this industry. She also attended a launching ceremony for the new Toulouse office of FPT– Vietnam’s biggest software producer.